Hancock Wildlife has cameras watching four pairs of eagles – and we’d love to know what they are doing 24/7 – or at least during daylight hours (though most of our nests have night vision, which lets us see what is happening without bothering the eagles). If you’d like to consider that option, you can find links to our cams under the Live Cams link at the top of every page – pick a camera, and check out the eagles! We do our primary reporting on the Hancock Wildlife Forum – and you’ll find the link for that under the Get Involved link at the top of each page. You’ll need to register for the Forum before you can post – it’s easy – and free! You’ll find plenty of people who can help you find your way around – and you just might be one of the first people to see a new little eaglet come out of its shell! This is a new project so we don’t have all the details (and if this is an area where you have expertise, we could use your help) – but in general terms we want to develop a database of specific eagle behaviors and when exactly they occurred at which nest, so that information can be linked to a brief film clip from our high-resolution video archives. I expect that some documenters will be watching the cams and logging examples of the behaviors we wish to study, and I think others may read the posts of the cam observers and use them as a basis for logging certain activities, such as food deliveries to the nest. 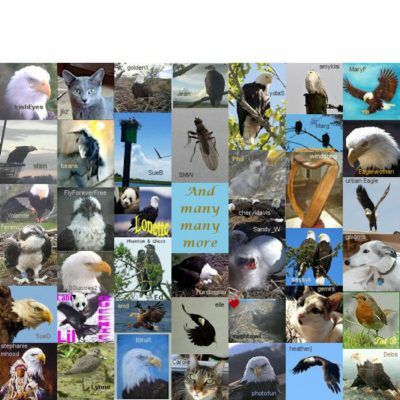 In addition to our cams, we also have a number of people who are lucky enough to live near an eagle nest (or other raptor nest), and who post what they see while visiting the nest. 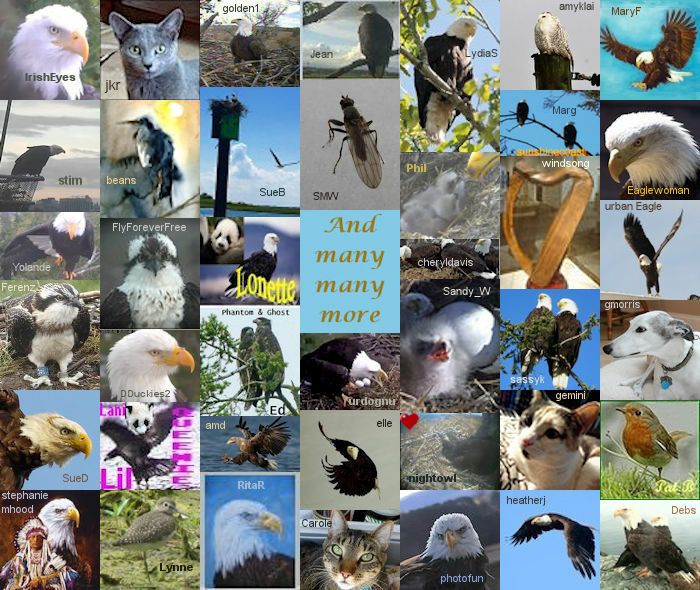 Most of our current nest observers are in British Columbia (it’s our base – and there are lots of eagles there to observe), but we welcome nest observers from other parts of North America – and the world.